Two currently unannounced Sony smartphones have been discovered making the rounds on GFXBench. The two new Sony handsets are codenamed the Sony F3216 and the Sony F3311. Judging by the specifications listed by the benchmark, these two upcoming Sony devices will aim the compact smartphone market and will feature high-resolution cameras on both the front and the back. 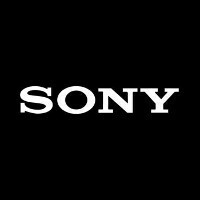 Starting with the better-specced handset of the two, the Sony F3216 comes with a 4.6-inch display running at 1080 by 1920 pixels and will draw its processing power from a MediaTek Helio P10 chipset, a SoC that integrates a 1.9GHz octa-core ARM Cortex-A53 processor and an ARM Mali-T860 GPU. This mid-range chip appears to be paired with 2GB of RAM, which should place the F3216 in the mid-range smartphone segment as far as the processing power is concerned. In the imaging department, the Sony F3216 features a 21MP primary camera and a 16MP secondary sensor on the front, which seems like a pretty impressive camera setup which will surely interest selfie fans. We're intrigued by the specs of the Sony F3216, although it will be very interesting to learn the name of the phone. Traditionally, Sony smartphones with high-res secondary cameras have been placed in the Sony Xperia C line-up. Just recently, we've seen some leaked photos of the alleged Sony Xperia C6, a device that's said to also come with a 16MP secondary shooter. However, all C-series Sony handsets came with gargantuan displays, not compact ones. On the other hand, the Sony F3216 could well be a spiritual successor to the Sony Xperia Z Compact series, but with a drop in the processing power and an upgrade in terms of selfie camera. Moving on the to F3311, this appears to be a toned down version (spec-wise) of the F3216. It maintains the 4.6-inch diagonal of the display but lowers the resolution to 720 by 1280 pixels. Other specs include a MediaTek MT6735 chip with 1.5GB of RAM, a 16MP primary camera and a 5MP selfie shooter on the front. What do you guys think of Sony's upcoming compact smartphones? Is anyone hoping for these devices to reach the US market? What a bunch of buffoons. Its 2016. Those screens are supposed to be 6.4 not 4.6. Their pricing will determine the success or fail or these devices. As well as availability. In North America it's hard to acquire Sony phones - They're either not here or made dealer exclusive. bring back the sony xperia S design, thats a good looking device unlike the brick-like design of sony z line. It's still a brick design unfortunately. Wishing they go full retard by bringing back Xperia Arc and Ray design though. Love the monolith style of the Z serie personally its give Sony smartphone its unique look. According to the article F3311 lowers the resolution to 720x1280... from 720x1280, dafuq? I thought the exact same thing lol. Was about to say the same thing, lmao! 1080x 1920 in xperiablog. I hope sony won't downgrade their batteries for these models. Finally sony has decided to change. Release these phones as quickly as possible. The 4.6 inch F3311 seems to be a rival to the j5 and j2. Not interested sony is making a bad decision over and over again. I don't care about a small device with mid end specs bring a successor to the z5c, the z ultra and the z3tc. The x line is a downgrade from the z line. The performance is the only one that is worth it's money imo. The x is a 600€ device with mid end specs it should be around 400€. Design is the only thing where sony excels. Everything else is good or average compared to the competition. If this keeps on going i wont be buying another sony device this fall. Sony Xperia has lost its vision. What's the point of announcing the X phones three months before its release?! And what's the point anyways when they already had the Z line. I'm sure it are good phones, but not worth the money imo. I don't see the X and X performance competing against Samsung. I'm afraid a may-june launch of the X series means that we won't see a Z successor in september. But I really hope that they will announce new Z flagships in september (or earlier) to replace my Z5 which is a good smartphone, but the upgrade from my old Z2 to the Z5 was minor. They're Sony, they have got the knwoledge to make good screens, cameras etc. but for now they let Samsung steal the show with the S7. I hope they've got a big surprise for us in september, and if not, I'll probably get a Note 6 if waterproof. Come on Sony, wake up! Yep it's if they like to lose money with their mobile division. The z3 wasn't necessary because the z2 was just fine although it had better audio, brighter screen and better design(my personal taste) it wasn't upgrade worthy if you had a z2. The z3+ was a bad phone although i loved it for it's built quality (stainless steel feels much more premium than aluminium) and design imo best looking device to date. I don't see it either the performance has the power to compete but nothing that makes it special. I like to listen to music on my phones and that is one of the big reasons i wont buy a Samsung device. The other is that they are 1 yr phones. Every Samsung device i had or my family/friends had starting to trip after a yr or so don't know why. The htc 10 got my attention this yr with the promised audio and if the battery life is good it could be my next device. How did you know that f3216 is a part of bad decision when it is not yet released? See the official product before giving negative thoughts. Gotta admire Sony for keep trying. Might be time to give it up tho Sony. As much as I love Sony it's time to pull the plug if they have nothing much up their sleeves. Make services (aka Microsoft style) and release it on Android and iOS. That's where most the money is made. I think Sony have changed strategy where the sort of midrange devices will be even more important in the future. Just put all resources to releases "flagships" have not worked for Sony. If they be good and affordable phone it can be a way for Sony to survive in the smartphone market. For the US market I guess they try to sell unlocked phones via BestBuy and Amazon if no phone carrier want to sell Sony. But here in Europe it seems better for Sony in that aspect.